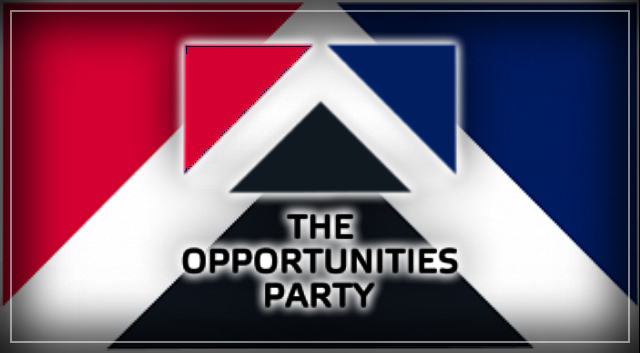 The Opportunities Party – UBI and Thriving Families. The Opportunities Party is starting along the road to an Unconditional Basic Income (UBI) by ensuring two groups are the first to get it. winds back the dehumanisation and stigmatisation of benefit targeting. The major constraints on how high that a UBI can be set includes its cost to the taxpayer and its relativity to the rewards for paid work. If fiscal overload is to be avoided then the taxpayer cannot be expected to foot the bill for whatever level of UBI proponents dream of. Likewise, the incentive to seek paid work cannot be undermined by the level of the UBI otherwise the resultant lack of labour available and the rising costs of production faced by New Zealand firms, would impart serious consequences to our economy. A full UBI is our firm objective but requires first that integrity be restored to the income tax regime as per Policy #1 and then we will introduce further taxation reform to fund this aspiration. It is unlikely that a UBI will ever totally replace targeted social assistance but it certainly will markedly reduce our reliance on targeting, with its stigma-laden selection criteria and its perverse impact on behaviour. A UBI can relieve poverty without creating poverty traps. This will be increasingly important as the job market becomes more and more disrupted. The key difference between the UBI concept of social assistance and the targeted approach of the current regime is the absence of work testing. There may be broad criteria for certain types of UBI – age, income, family type for example – but those delineations will be nowhere near as granular and onerous as the poverty traps that targeted, work-tested benefits entail. In time there will be an underlying UBI for everybody – it must be modest of course and not compromise the incentive to take paid work. Previous PostNew Zealand can stand up against racism – Dame Susan Devoy, NZ Race Relations Commissioner. Next PostMillions of UK workers at risk of being replaced by robots, PwC study says – Larry Elliott.